We don't just sell cameras, we show you how to use them! Now in Winnipeg, we offer personalized, one on one instruction on how to use YOUR camera. 1. What can I do to get better pictures? Answer - Many digital camera manufacturers have outdone themselves by loading their cameras with many different options to help improve the quality of the picture you are about to take. They range from red-eye reduction, to over/under exposure compensation (allows you to darken/lighten your picture), to various pre-set scene settings that will best prepare your camera for what you are about to take a picture of, i.e. ; landscape, portrait, low light, etc. However, don't despair if your camera doesn't have some of those features, or if that "perfect" picture didn't turn out exactly the way you wanted! 2. Some of my pictures come out blurry. How can I prevent this? Answer - Even a slight movement made when taking a picture can cause a blurry image. Try holding the camera, even a small point and shoot model, with both hands and bring your arms as close to your sides as possible. This will help minimize movement. Check to see if your camera model has image stabilization, or another form of anti-shake technology, and make sure it is activated. If you are in the market for a new digital camera, consider one with the image stabilization feature. Many digital cameras include a basic editing software program, available on CD for your computer, right out of the box. Chances are your computer may already have an editing program built-in. Don's Photo has Kodak Picture Maker Kiosks at each of our stores, which are loaded with editing options that you can perform & preview before submitting your photos for printing. They include red-eye reduction, cropping, brighten/darken adjustment, colour enhancement and much, much more! You can also access many of these features through our Don's Online Print Services, available through our website. 3. My batteries are always dying. What can I do? Answer - If your camera uses an AA style battery, it is best to use Nickel-metal hydride (NiMH) rechargeable batteries instead of alkaline batteries. While alkaline batteries are common for day-to-day usage in many devices, they are not designed for digital cameras. Rechargeable NiMH AA batteries will last much longer, and when they are exhausted, you can recharge them. For optimum usage, pay special attention to the charging instructions with your charger as charge times can vary from as long as 18 hours to as little as 15 minutes. 4. I am in the market for a new digital camera. Should I buy a point and shoot style or an SLR style digital camera? Answer - There are many, many different digital cameras on the market, and it is sometimes difficult to determine what may be the right camera for you. We recommend trying the cameras first in store. Point and shoot style cameras are small and convenient, but they may not have all of the controls of a full sized SLR. As well, SLR's are generally much faster, and more responsive than a point and shoot. This can be particularly important if you are shooting fast action or sports. You also have the ability to use different lenses on the camera, for a greater range of shooting applications. For example, you can choose a wide-angle lens, which is ideal for group shots and landscapes. Or try a macro lens for extreme close ups of flowers or other small objects. However, an SLR is much larger and cannot be put in a pocket or a purse. Plus, point and shoot models have an excellent reputation of being user-friendly, no-fussing-around cameras. Browse through our online selection for models that may interest you, then come into your local Don's Photo and speak with our knowledgeable staff. They will assist you in making a decision to find the right camera for your needs. 5. What else besides the camera will I need? Answer - Besides purchasing the camera, it is suggested that you purchase additional batteries, a reasonable sized memory card, and an appropriate camera case. If the camera does not come with rechargeable batteries, it is highly recommended to purchase a set of rechargeable batteries and charger. If the camera comes with a proprietary or custom rechargeable battery, consider purchasing an additional one. That way you will always have a back up, just in case. Digital cameras normally do not include memory cards (digital film) in the box. Some models will have internal memory built-in, but the amount of pictures it will be able to store will be limited. It is suggested to purchase a memory card to allow you to take a reasonable amount of pictures. 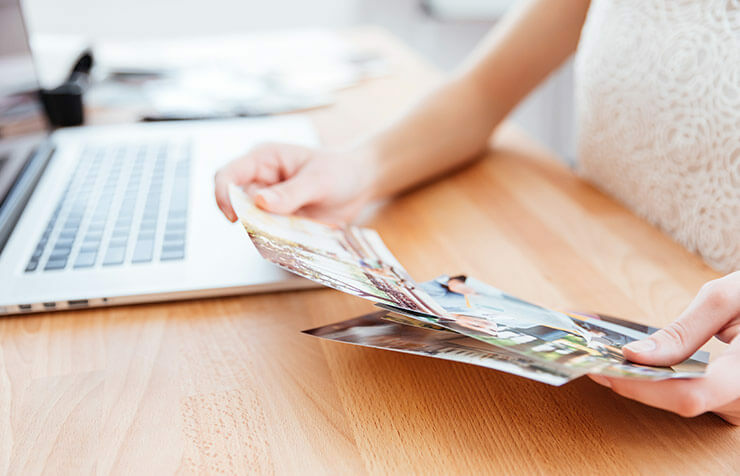 Ask one of our Don's Photo sales staff to determine the right type of card, (i.e. : CF, SD, XD, etc. ), and the appropriate capacity of memory card for your camera. Camera cases are not included with the purchase of a digital camera. There are as many camera cases as there are digital cameras on the market. They come in many different shapes, sizes and colors. A good case must be comfortable, the right size, and will help protect your investment. As well it might provide space for additional memory cards, and batteries. 6. How should I clean my LCD screen? Answer - It is not uncommon to get the LCD screen on the back of the camera dirty. Especially with digital cameras, nose prints appear on the screens all the time. Do not use anything abrasive to clean your screen. Do not use tissue, or paper towels, as these are abrasive, and can scratch your LCD screen. A good micro fibre cloth, or even lens tissue can be used to clean the screen, as these will not scratch. You can even purchase an LCD screen protector or even an LCD HOOD for further protection. As well, an LCD hood will allow you to see your LCD screen on a bright, sunny day. Your question's not in the top 6?